Celebrate the first 30 years of Where's Wally? with this exclusive anniversary album from Wally to his fans. Join Wally as he handpicks his most amazing twelve journeys of all time, with lots of terrific twists! Fantastic scenes are revisited in Wally's very own scrapbook bursting with art, new things to search for and additional eye-boggling games to play. A great gift for the ultimate fan of the bespectacled red-and-white striped traveller in his 30th anniversary year! 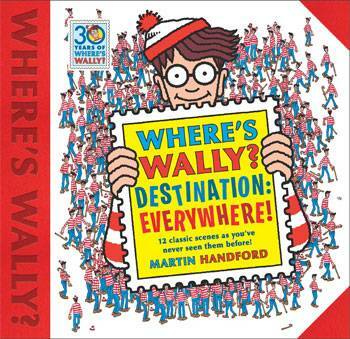 Who doesn't love a Where's Wally book, hours of fun searching and taking in the bigger picture, always and adventure for young and seasoned.